Southeastern Arizona Stargazing Will Improve Soon. At the end of May the three planets aligned at sunset. Southeastern Arizona stargazing will soon be back as the monsoons will be ending and the night skies will be clear. With the end of the monsoons, the view of the Milky Way will be unobstructed by clouds and directly overhead in all its glory. The late summer and Autumn constellations are full of nebulas for the Arizona stargazing astronomer to see. We have many options for the amateur or avid astronomer who wants to view planets or objects in the night sky while being guests at Down By The River B and B . 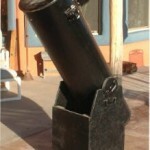 One option is to bring your own telescope; some of our guests have done exactly that. 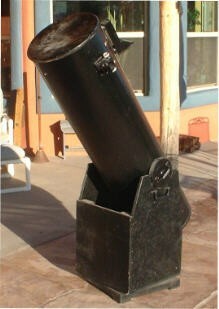 Another option is to use the Dobsonian telescope that is available to our guests here at Down By The River. Another option is to make a reservation at San Pedro Valley Observatory in Benson. If you want to do some night photography like David did at our b and b, then you can set up your camera and tripod and give that a whirl. David has a website where he posts his blogs and pictures. He does some outstanding things with a camera and a telescope. I am hoping to take some of the lessons he taught me and try my hand at this type of photography in the coming months. There are numerous online sites that are good references for stargazing. One is Star Date which will give you information on planets, constellations and events during the year. I did find one interesting site on line which is a YouTube video that compares the size of many of the planets and stars. This video is from 2009 and is a little out of date since larger stars have been discovered but it is interesting to view. It is amazing just how big things are and how small we are in comparison. In September, Venus, Mars and Jupiter will all be morning stars. 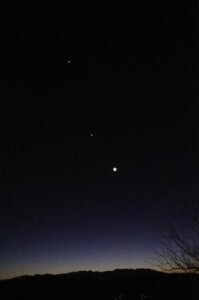 I took a photograph of the alignment in June. Saturn will be setting early in the evenings and Uranus will be up all night. Uranus is the hard one to spot. You need a telescope and there are no good reference points at this time to help sight the planet. I have seen Uranus and Neptune before but not with a Dobsonian Telescope. I was lucky because these two planets were close to a brighter reference point at the time. February 8 to 10 will be the best time to see Uranus, since it will be close to Venus. The best time to view Neptune is now but with monsoon clouds the chances of clear skies may not be good. Also there is not a good reference to help spot the planet. 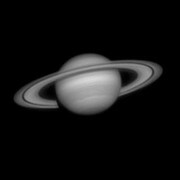 Saturn to the naked eye doesn’t have much color through a telescope. I wrote a blog about the San Pedro Valley Observatory. It was originally a B and B called Skywatcher’s Inn and then changed to Astronomer’s Inn. 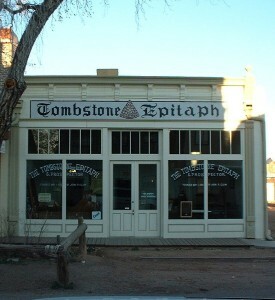 It no longer is a B and B but we do work with the observatory and give discounts to people that go to the SPVO for Arizona stargazing. Angie got her first real chance of Arizona stargazing on her birthday. The astronomers are very knowledgeable and gave us a great experience. At the end we saw Saturn and we left with a picture of Saturn and its rings. Angie had never seen that before and moons too! As a special, we will give a 10% discount for a one night stay to guests that have a one night reservation at the observatory. If they have reservations for 2 or more nights at the observatory we give a 15% discount on each additional night, This is all subject to confirmation of the SPVO reservation. If you want to view the stars and see what Arizona Stargazing is all about, take some time and head for our San Pedro River B and B for a night of fun. Down By The River is out in the country and it has dark night skies. Leave the lights of Tucson and Phoenix behind and see what it is like to see the Milky Way in all its glory while staying in comfort at Down By The River B and B. This entry was posted 6 years ago on Tuesday, September 3rd, 2013. and is filed under Events and Things To Do, Nature, Specials & Packages.